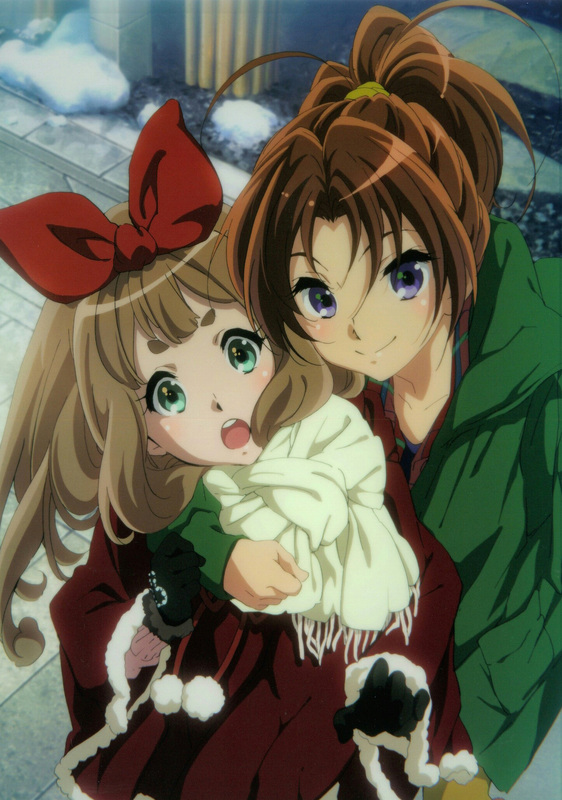 It is the Winter time of the year and the girls from the anime adaptation of Ayano Takeda and Nikki Asada’s Hibike! Euphonium (Sound! Euphonium) novel series are huddling together to keep warm. 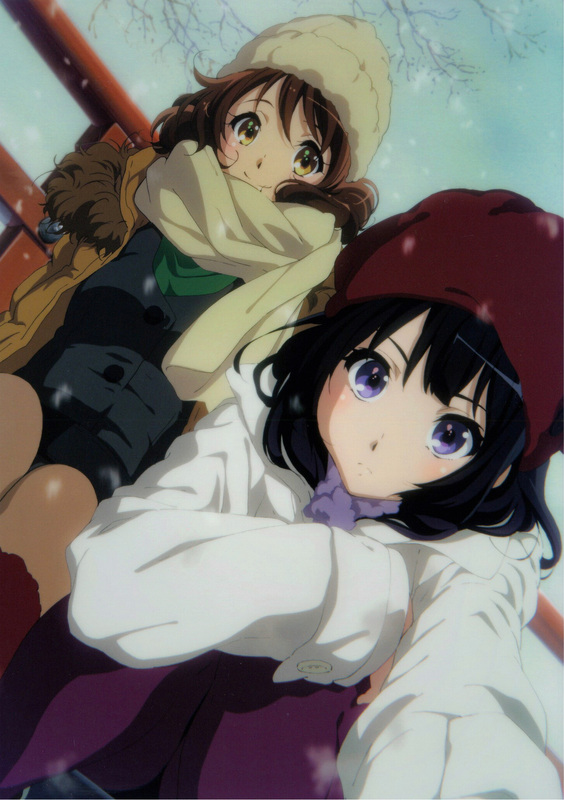 The recent issue of Animedia magazine has revealed a series of visuals featuring the girls in Winter attire, all taking selfies. There will be an anime film based on the Spring 2015 anime titled Gekijouban Hibike! 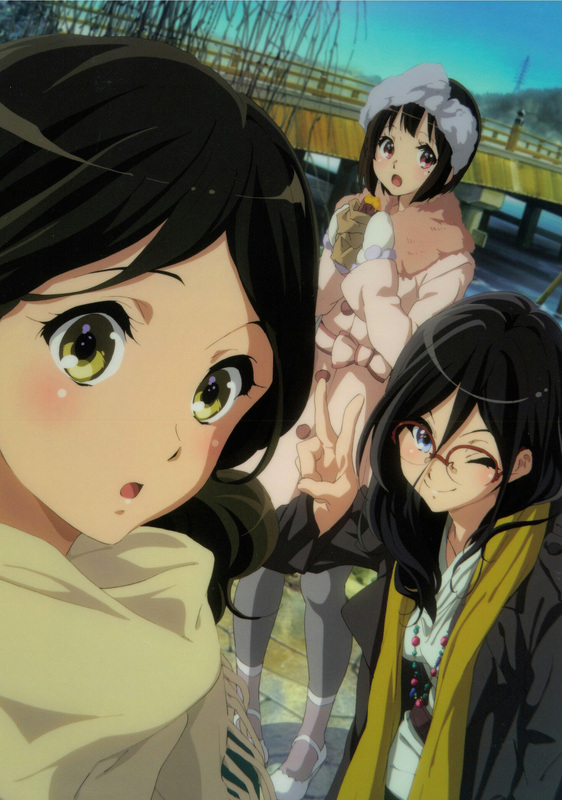 Euphonium: Kitauji Koukou Suisougaku Bu e Youkoso (Sound! Euphonium the Movie: Welcome to the Kitauji High School Concert Band) will retell the events of the 13 episode series, depicting the band’s journey as they reach the prefectural band competition. The compilation film was announced at the recent Kyoto Animation & Animation Do Fan Event, alongside the second season of the Hibike! Euphonium anime. The Hibike! 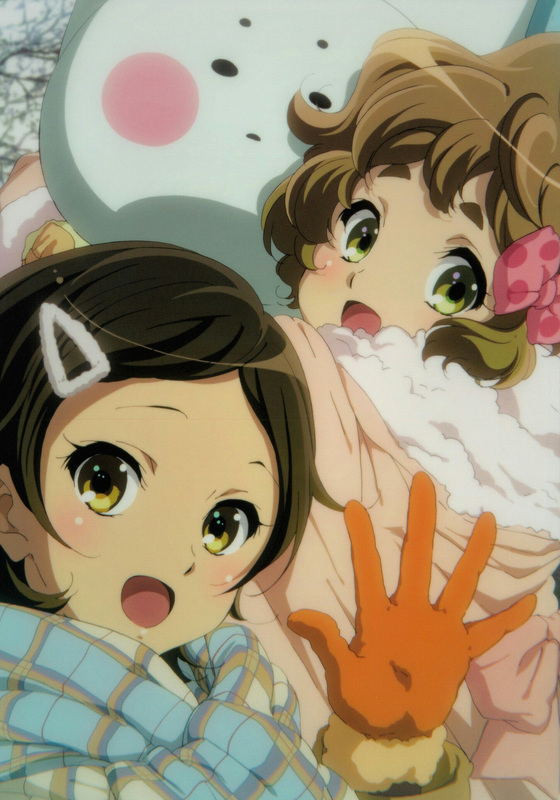 Euphonium anime recap film, Hibike! Euphonium: Kitauji Koukou Suisougaku-bu e Youkoso, will release in Japanese theatres on April 23rd. Additionally, a second season of the anime is in production.